Recorded at Sawmills Studios, UK in August 1992. Engineered by John Cornfield. Mixed at Fon Studios, UK by Alan Fisch/Steve Harris. 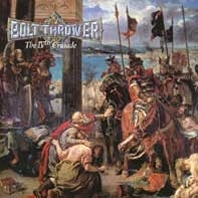 Produced by Bolt Thrower & Colin Richardson. Released on Earache Records in 1992. Sleeve by Delacroix.